Its the very first day of June as I sit and type this post, the rain Gods have been kind, we received our very first shower of the season today. I couldn't be happier. June here in India besides heralding the monsoons also ushers in a new academic year for almost 95% of students. New stationery, new uniforms, new classrooms and freshly rain washed roads welcome students to new beginnings. Ah those first days of June, when I went down to the school stationery with my father and purchased books for the new school year, then came home and meticulously sat and covered each book in brown paper followed by writing my name with a marker pen. My father was as excited to cover the new books as I was and the two of us were a happy team. The word 'School' invokes maximum nostalgia in me but school couple'd with re-opening season was a whole different level of high. Alas those simple and beautiful days are behind me now, but I do get to relive them in little ways as I now prepare my son for school. After a year and a half at a playschool he now will enter Nursery at a new school. Not surprisingly all those years ago if I thought of feeding calves, covering books and splashing in puddles, now my most all consuming thought is what to pack in my fussy toddlers tiffin box. 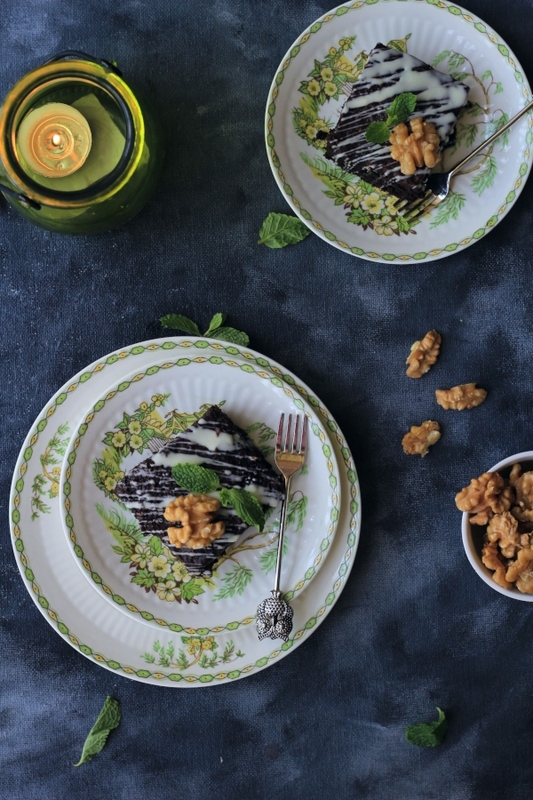 Left to his own devices Sir Launcelot (as I loving call my son), would be blissfully happy to consume chocolate cakes all day, for all other foods do precious little in peeking his interest. Fussy toddlers are often paired with experimentative mothers or so I believe, as the closest to cakes comes their "flat out fabulous" cousin - The Pancake. 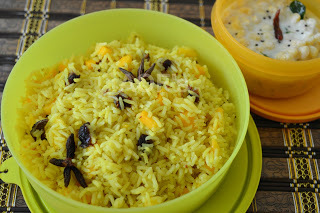 This simple dish is a must have in every mothers repertoire as she can then disguise grains and fruits to her hearts content and raise a healthy child. 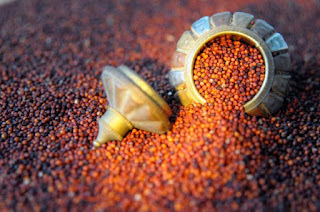 Ragi also known as Nachni or finger millet is one of the oldest known grains to mankind. 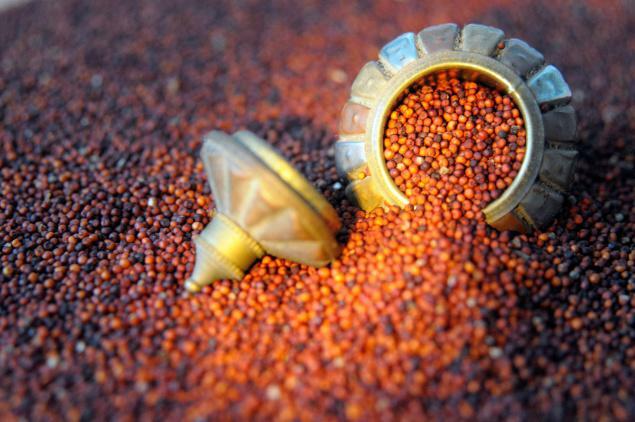 This humble grain has myriad health benefits from ease in digestion as it is high in fiber, calcium and amino acids, boosts immunity in growing children, presence of iron aids blood formation, induces the release of growth hormones, helps in controlling blood sugar and my most favorite reason has a nutty texture and taste, a big win win in my books. This tiny grain besides being loaded with health benefits can also be used to make a plethora of recipes and can be interchanged with processed flour and white rice. Today I'm using this wonder food to make banana pancakes, it only takes a handful of ingredients that would most probably be lying around the house. The nuttiness of the millet flour along with the natural sweetness of over ripe bananas was a great combination and I urge you to give this recipe a try if you haven't already. In a bowl finely mash the over ripe bananas, to these add in the ragi and all purpose flours, next add in salt, all spice and baking powder and mix well. 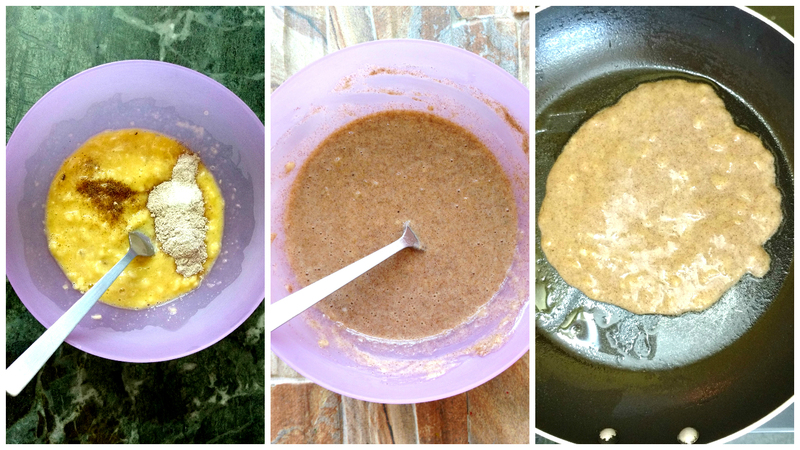 Now crack in an egg and whisk in, alternatively you can use flaxmeal egg replacer. Allow the mixture to stand for 20 mins. After 20 mins sizzle 1/2 tsp butter in a skillet and drop in a ladle full of the batter onto the butter. Once the pancake gets dry on the sides flip it over and cook for some more time. Repeat by adding a small amount of butter to the skillet before every new pancake. Stack all the pancakes in a serving dish, drizzle with honey and serve. Dont forget to pack some in your kiddo's tiffin box. 1.To make flaxmeal egg replacer: For every one egg, make a paste of one table spoon flaxseed powder and 3 tbsps water, allow to stand for 30 mins before using. 2. NEVER ROAST FLAX SEEDS AS THEY BECOME TOXIC BY DOING SO. Looking for more fun tiffin recipes? 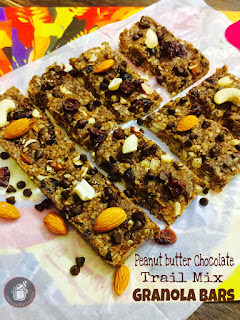 Hey Pari Awesome healthy recipe...and lovely write up.will soon try this recipe on my younger one.